If you’re thinking about installing solar lights in and out of your house or if you’re already did, but have some troubleshooting, scroll down to check some of the most common issues when it comes to solar lights. Some may help you on making an easier decision about going solar, whereas some may instantly give you the solution for your current problem. How do solar lights work anyway? Solar-powered lights feature a solar cell, a rechargeable battery, LED light and photoresistor. Every single solar cell produces energy that helps the battery charge during day time. The solar powered lights don’t give energy anymore once the night has come and the photoresistor activates instantly the battery (due to lack of light), turning the LED light on. 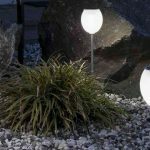 Are solar lights any different from the conventional lights? The main difference between solar and conventional lights is that the solar ones use sun’s energy and turn it into electricity through the solar panel. In order to make the light source more effective and durable, solar lights use mostly LEDs lamps and not incandescent or fluorescent lamps. LEDs give light, but without the heat of incandescent light so the risk for overheating after 8 hours of lighting is minimal. 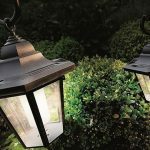 What are the pros when using solar lights? If you don’t like spending time installing lights, the ease of installation and use may be the best reason for you for going solar in and out of your home. You don’t need to worry about any wiring or power sources so, in theory, you may place them wherever you want. Another great reason for using solar lights is the electricity bill that is going to change for the better almost instantly. As they’re using LEDs that don’t overheat like traditional or incandescent bulbs, the solar lights are also safer to use, especially for longer periods of time. Let’s not forget you don’t need any power cords or electricity either, so you may confidently use them by your swimming pool or to illuminate a pond. Do they need special maintenance? As they’re powered by direct sunlight, you do need to clean the solar panels on regular basics from mud or dust, so that they get enough sunlight. Keep in mind that most solar panels don’t work that efficiently during the winter or on a cloudy day, so you may want to store them away once the winter has come. Turn them off when not in use and store them in a less bright place. Most of the solar lights out there are build and designed to handle all sorts of temperatures, but you may want to play it safe for the models with glass and not leave them outdoors on the rainy days or when snowing. If a storm is on the way, get them inside as well as they’re not going to handle it. How durable are the solar lights? 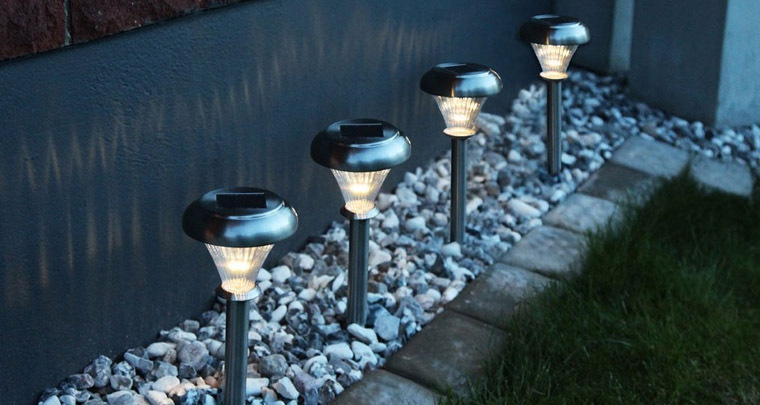 The solar lights are long lasting as long you take care of them and you should worry also about the durability of their batteries. Most of the batteries are NiMh nowadays which are going to hold up for two years or so. As for the LED bulbs, they may run up to 100,000 hours each which is quite impressive, but you can’t replace them so you should consider this part as well. Do you really want to go from low voltage to solar? If you’re thinking about going solar, it’s important to know precisely where you’re going to install the solar lights and what you need it for in the first place. For the safety and security reasons, some go with solar lights since they may feature motion sensors that activate the lights only motion is detected. Some want to have the lights on all night long for security reasons, so you should go with conventional lights instead. When you’re looking to improve the aesthetics of your residence, you should definitely go with the solar lights as they come in a great variety of shapes and colors, fitting all sorts of needs and likings. Are the solar lights bright? Truth be told, solar lights aren’t as bright as conventional lights, but the LEDs compensate by casting a different type of illumination. You can still get bright solar lights, but you should make sure that they feature more than just one LED. Just to make an idea, you may need one LED per fixture when you’re looking for some accent lighting, but you shouldn’t go lower than 3 LEDs per fixture when getting some path lighting. How long do solar lights remain on anyway? The time your solar lights remain lit depends a lot on the quality and size of the solar panel and the size of the battery as well. Therefore, the bigger the solar panel and the better the battery, the longer your solar lights are going to illuminate during the night. Most of the solar lights now may run for 10 hours straight on a fully charged battery. Is it possible to replace a conventional fixture with a solar one? You need to an in-depth analysis from a solar lighting specialist if you’re thinking about going from conventional fixture to a solar one. If there is power at the site, chances are that it’s going to be easier and cheaper for you to install some traditional grid lights instead. Either way, it’s best to talk to a solar lighting specialist to know what the costs are in your case. Is it possible to mount the solar package to an existing pole? In most cases the existing poles are built to take a specific weight and EPA loading and you need a more substantial pole if you’re going solar. A solar pole is made with at least EPA of 4 to 25 sq.ft. and weighs from 150 to 500lbs. Are the designs various enough? Even though there are so many and various solar lights, when it comes to designs, there are some limitations. High wattage fixtures need a larger solar panel so this is why it may not be a self-contained unit. For the high level requirements for banks, car lots or highways, the solar lights may not be the best choice. But they’re definitely a great choice for any home and yard. Do they dim if the battery drains out? The design and build of solar lights make them give full intensity no matter of the battery storage. This doesn’t mean you can’t dim the light if the solar lights come with an adjustable setting that helps you better control the lighting. Can you still have a party? Solar panels get their light directly from sunlight so any shading during the day is going to have a say on your solar lights. If you place the solar panel on the North side of your home or if shading is a constant problem, you may want to talk to a solar lighting specialist for the solutions on your residence. What information do you need for a solar lighting design? You need to know exactly the purpose of the solar lights, as the solar lights have to match your specific needs. In some cases, there are some specific light level requirements that you need to know about. Additionally, if your solar lighting is a bit more sophisticated, you may have to check to City or address of your project installation location.